Clinton Township Fiber Cement Siding | Clinton Township Cement Siding | Clinton Township Cement Board Siding | Clinton Township Cement Lap Siding | Clinton Township Cement Panel SidingMcGlinch & Sons CO. Looking for a low maintenance and beautiful option in cement siding? Look no further than the highly regarded McGlinch & Sons featuring James Hardie fiber cement siding products and services since 1917. The insect and woodpecker proof cement panel siding offered is available in many colors and versatile patterns to fit your unique style and home décor. Cement lap siding is impervious to hail damage and can withstand the harsh rain and snow prevalent in Southeast Michigan. McGlinch & Sons is proud to serve the Clinton Township area. Let us show you how far fiber cement siding has come in its beauty and ability to add significant value to your home. Part of the Metro Detroit area is the Clinton Charter Township with a population of nearly 97,000 residents making it Michigan’s most populous township. Clinton Township is characterized by wide socioeconomic diversity and is a mix of middle-class communities but also includes many upscale, exclusive areas and beautiful recreational parks. Servicing the needs of Clinton Charter Township are the top remodelers of McGlinch & Sons. They provide outstanding customer service and the highest quality fiber cement siding materials by James Hardie, the first name in cement siding products and custom cement lap siding options. Because the unpredictable Michigan weather can take its toll on your home, replace that worn and faded wood or vinyl siding with premier cement board siding. Our cement siding can be customized both in color and texture for your specific style. Once installed, fiber cement siding will protect your home against harsh weather, rot and moisture, and even insect infestation. 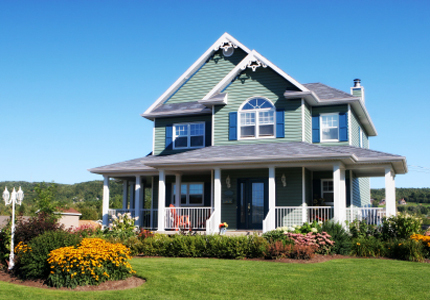 Cement siding is also non-flammable and will not fade in color like traditional non-cement siding. Don’t wait any longer and call (248) 987-6300 today. The service team at McGlinch & Sons is ready to customize your cement siding free estimate now!